The Antioch School was located in southern Trimble County on the Bedford-Campbellsburg Road (Highway 421) just north of the Antioch Baptist Church. The land was donated by Fielding Colbert and the first log school was constructed in the early 1840s. For more information on the Antioch Baptist Church click here. 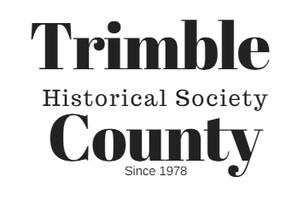 Previously located in the northern portion of the county between Pleasant Retreat and Milton. The school was one mile further west on Peck's Pike than Moreland School, which it replaced. Moreland, Dolah, Dolby, Mosely, Trout, and Wise. 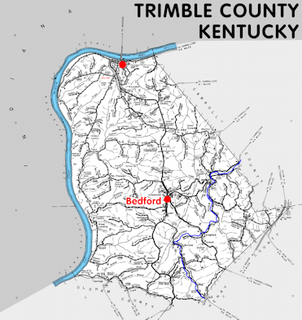 This school was located on Trout's Bottom, Spring Creek, in the western portion of Trimble County. 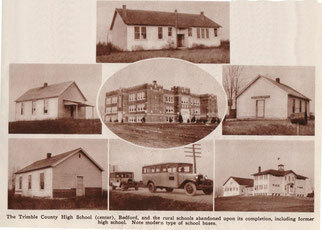 A new school was built in 1915 on land donated by F. Burkhardt. Adams, Ashby, Burkhardt, Handlon, Hamilton, Holderfield, and Moreland. Built on land purchased from Mrs. Mary Adams, the Barebone School was located near the Tilden Yeager Farm. Adams, Andrew, Bare, Barnes, Callis, Farley, Faulkner, Perkinson, Tate, and Toombs. Built on the N.W. Barnes farm, the school merged with the Callis School in 1907. Later, this would form the New Hope School District. Established in 1903, this school closed its doors in July 1930. The first school was built sometime after 1840 on the Hancock property. This private (subscription) school was used as an office in the 1900s. Built in 1898, this school was built on land adjoining Bethel Methodist Church on the western bank of the Little Kentucky River. A.G. Hill donated the land for the school. Ball, Carter, Dougherty, Hill, Miller, Spillman, Taylor, Tingle, and Wright and more. 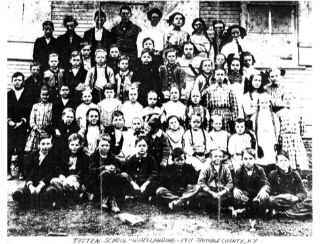 Information regarding Totten School at Wise's Landing was submitted by Gordon McClure and Christine Mullikin.